Acting U.S. Attorney Bridget M. Rohde said Vincent Asaro's sentence was "for a lifetime of violent criminal activity"
A legendary airport robbery recounted in the movie "Goodfellas" came back to haunt an 82-year-old mobster on Thursday, when a judge cited evidence of his role in it while sentencing him to eight years in prison for an unrelated road rage arson. "I don't care what happens to me at this point," he grumbled. He looked at U.S. District Judge Allyne R. Ross, saying: "What you sentenced me to is a death sentence anyway." 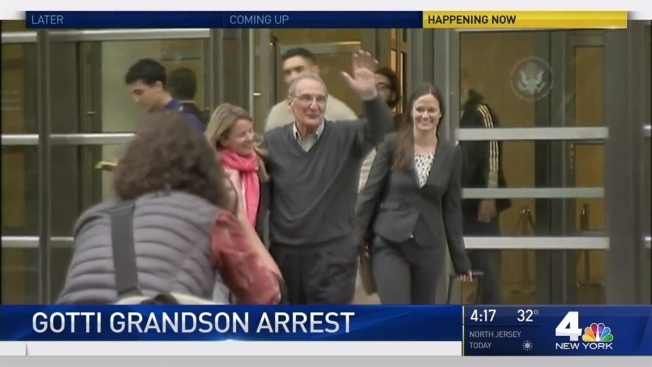 The attorneys and families for John J. Gotti and Vincent Asaro react after the men were arrested in an arson case. Asaro, speaking before the announcement of the sentence, said he was "terribly sorry." "I was on my way home," he said. 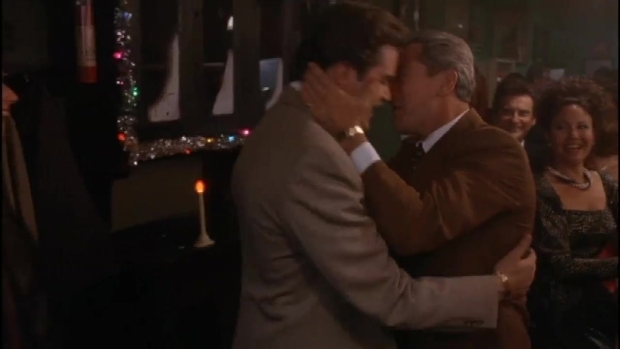 "It happened. It just got out of hand." The judge said she had "no illusion" that prison will result in Asaro's rehabilitation or bring an end to his "lifelong career as a member of the Mafia." She said she was mindful of Asaro's 2015 acquittal in the infamous 1978 heist at the Lufthansa cargo terminal at John F. Kennedy International Airport, a robbery retold in the 1990 hit film "Goodfellas," starring Robert De Niro, Ray Liotta and Joe Pesci. "He remains dangerous to the public," she said. The prison term resulted from a road rage encounter between Asaro and a motorist who became "embroiled in a high-speed chase at the hands of an enraged Asaro," the FBI said. Asaro contacted an associate with access to a local law enforcement database, identified the license plate information of the car and triggered a plan to burn the car in front of the motorist's home, said the head of New York's FBI office, William F. Sweeney Jr.
"The anger that propelled Asaro to action is reminiscent of so many scripted Hollywood dramas, but unlike the fame and fortune of the big screen, Asaro's story ends on a different note," Sweeney said in a release. "Today's sentence proves that living life in the fast lane is sure to be short lived." Acting U.S. Attorney Bridget M. Rohde said Asaro's sentence was "for a lifetime of violent criminal activity." Before the announcement of the sentence, defense attorney Elizabeth Macedonio blamed the government for the long prison term, saying prosecutors were "asking you to sentence him for crimes he was acquitted of that occurred 50 or 60 years ago." 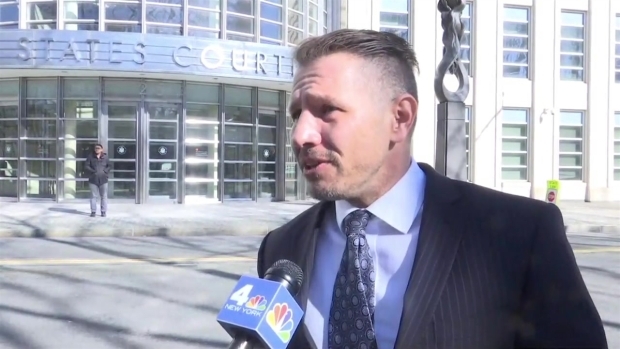 Assistant U.S. Attorney Nicole Argentieri called Asaro a "one-man crime wave" and said he was a hero in his Queens neighborhood after he was acquitted at trial. John Gotti, the 23-year-old grandson of the late Gambino crime boss for whom he is named, was arrested along with six others early Thursday on state narcotics charges, authorities said. Jonathan Dienst reports. "It's time to send a message, to break the cycle," she said.